Every Halloween, children, teens and even adults are excited to decide what they will wear. There are tons of different Halloween costumes that are out there, but there is always one costume that is trending each year. 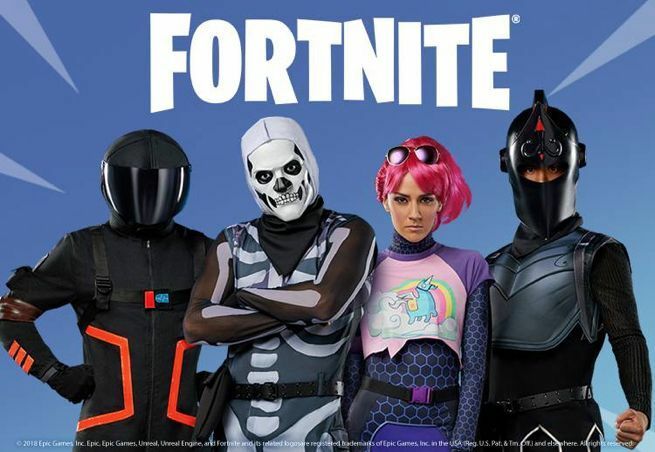 This year, it seems that Fortnite is trending as the top Halloween costume of 2018. Other top costume searches include unicorns, superheroes, pirates and princesses. However, you can always just go for those classic Halloween costumes, such as witches or vampires. People tend to spend a significant amount of money on their Halloween costumes and retail costume stores make large profits this time of year. Spirit Halloween, Target, and Walmart are some of the most popular places to buy Halloween costumes. As the years go by, the costumes are getting increasingly more “high-tech”. Many costumes incorporate LED lights, which heighten the dramatic effect of the costumes and draw attention. Many of these costumes are also DIY-oriented for those who are creative and inventive. Halloween is the one day of the year where you can be whoever you want! Who will you be?